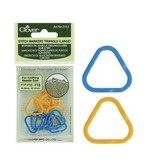 The unique geometric shape of this triangular stitch marker from Clover will stand out in your knitting. 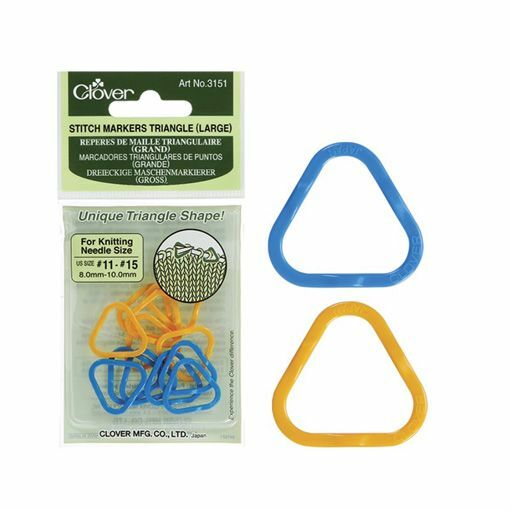 The triangular shape makes it easier to slide the marker from needle to needle.This set includes 12 total markers in two colors 6 each. These markers will fit needles sizes US 11-15.